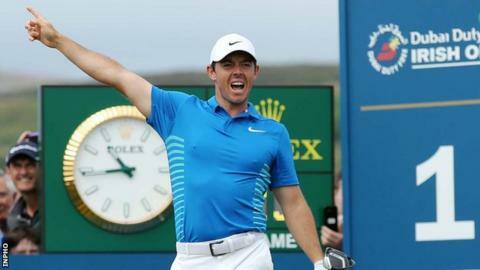 Rory McIlroy will make his debut at the Sentry Tournament of Champions next week at the start of a year in which he will focus more on the US PGA Tour. The 29-year-old has qualified for the event - made up exclusively of US PGA Tour winners - on six previous occasions, but has never taken part. The Northern Irishman plans to reduce his European Tour commitments in an effort to add to his four major titles. England's Justin Rose will not feature at the Kapalua Resort in Hawaii. World number one Brooks Koepka and 2013 winner Dustin Johnson will headline the event, while Englishman Paul Casey will make his first appearance in the tournament since 2010. European Golfer of the Year Francesco Molinari will also feature in the 34-strong field but Tiger Woods, who qualified with his victory at the Tour Championship in September, will not compete. In recent seasons, McIlroy has begun his playing year during the European Tour's series of tournaments in the Middle East, but he announced in November that he would be focusing on the PGA Tour until the end of August in an effort to regain his best form. The former world number one has thus far committed to only two European Tour events for 2019 but he must play four outside the majors and World Golf Championship competitions to retain his Tour membership.